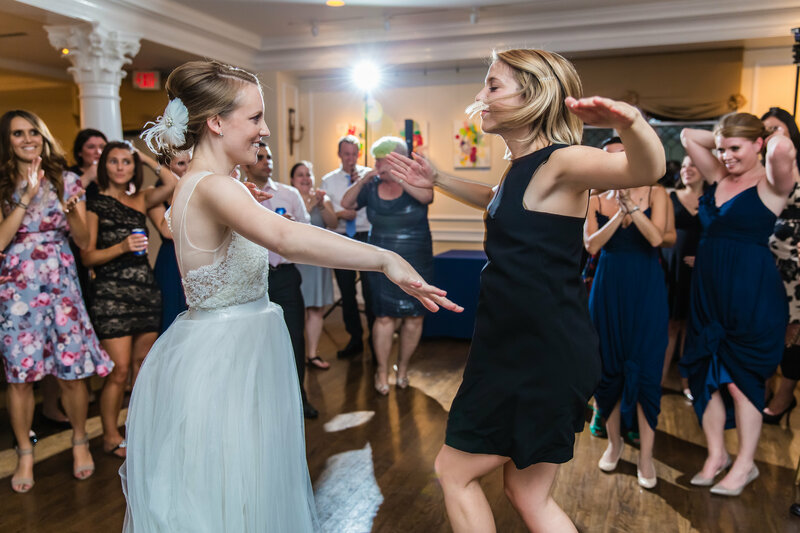 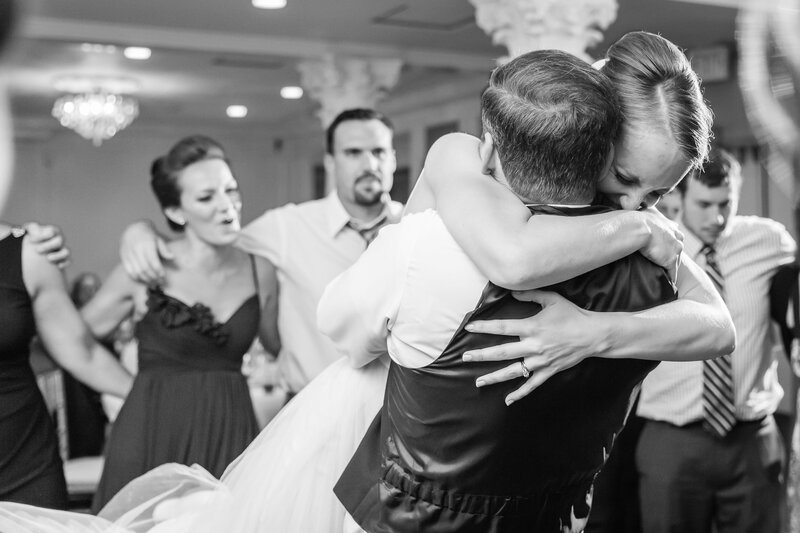 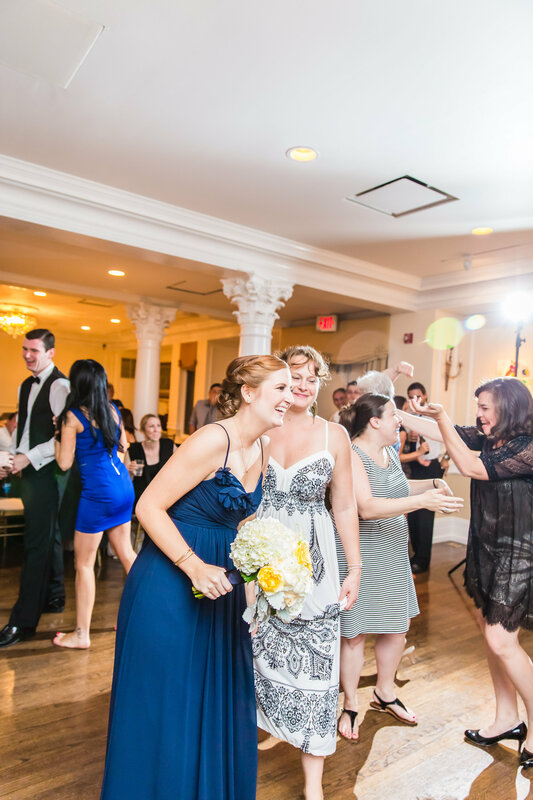 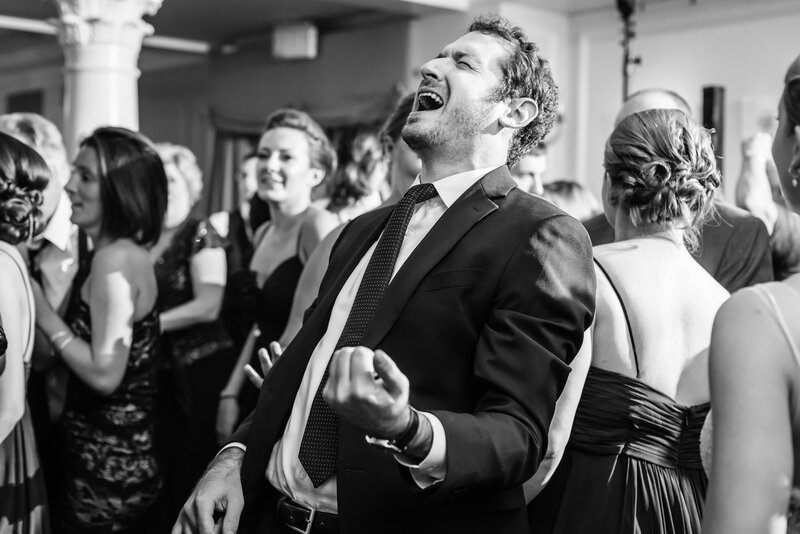 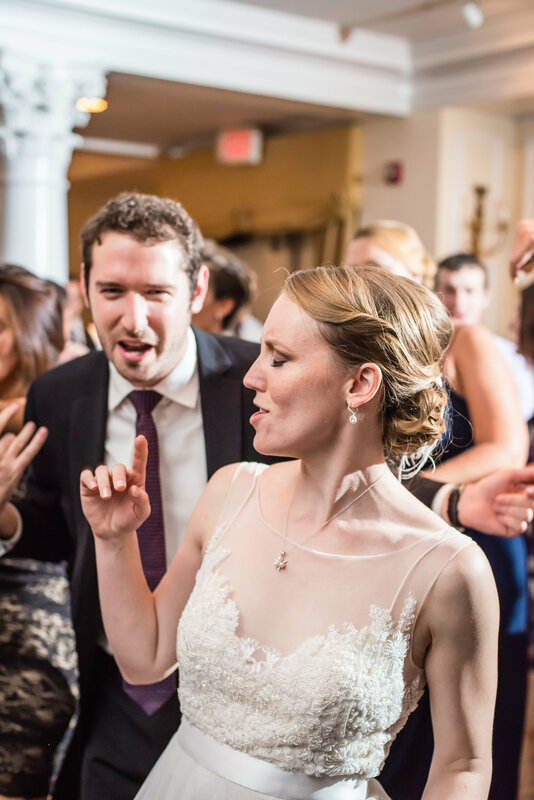 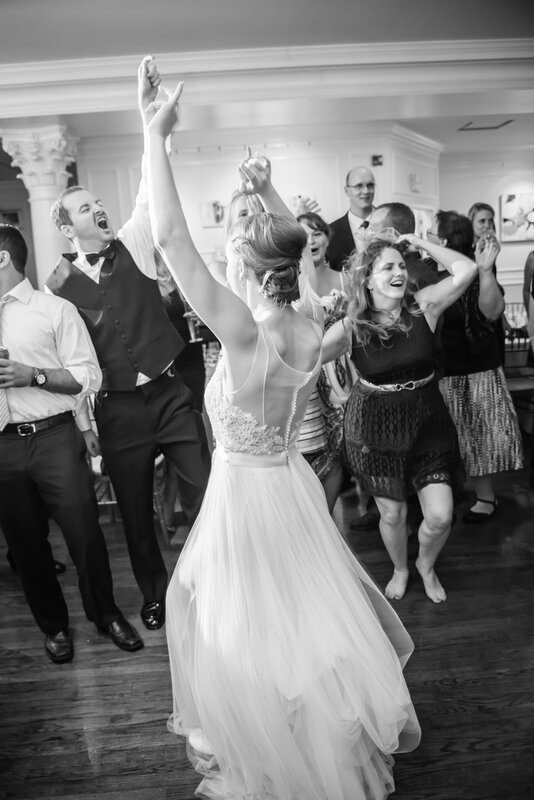 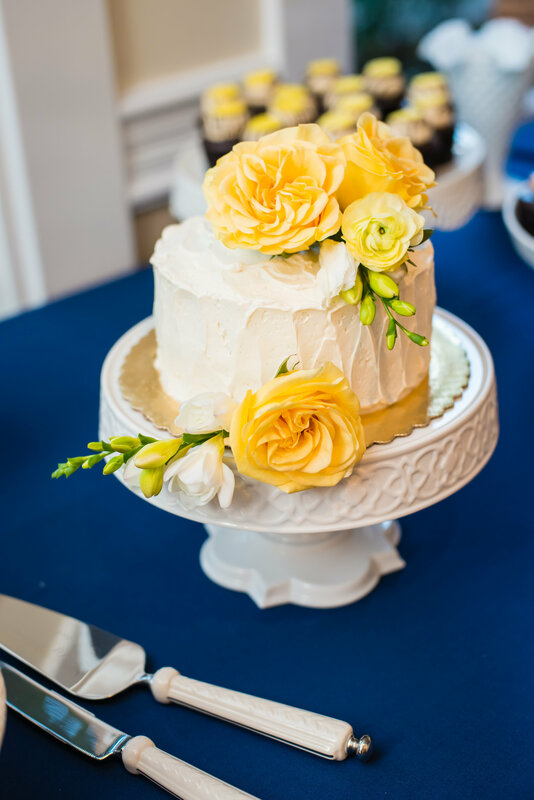 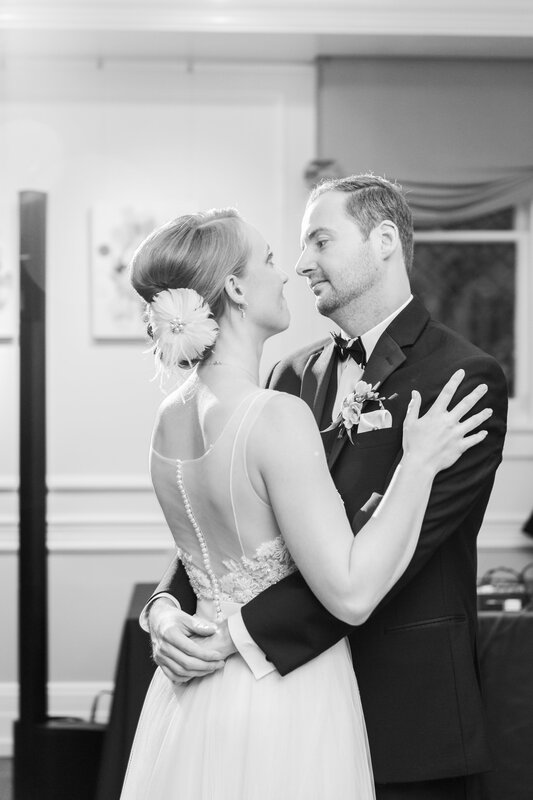 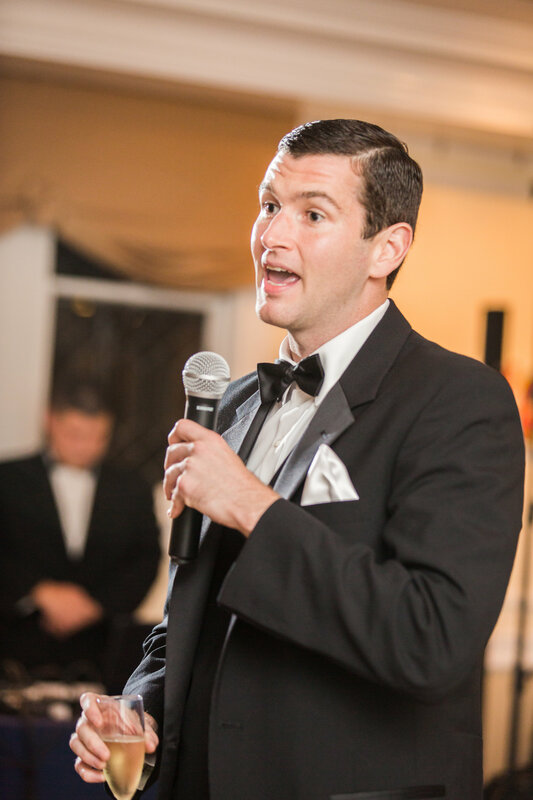 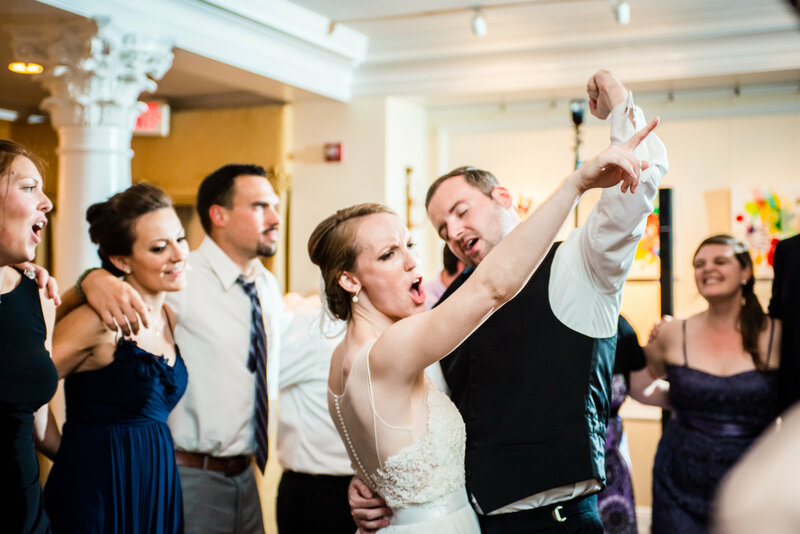 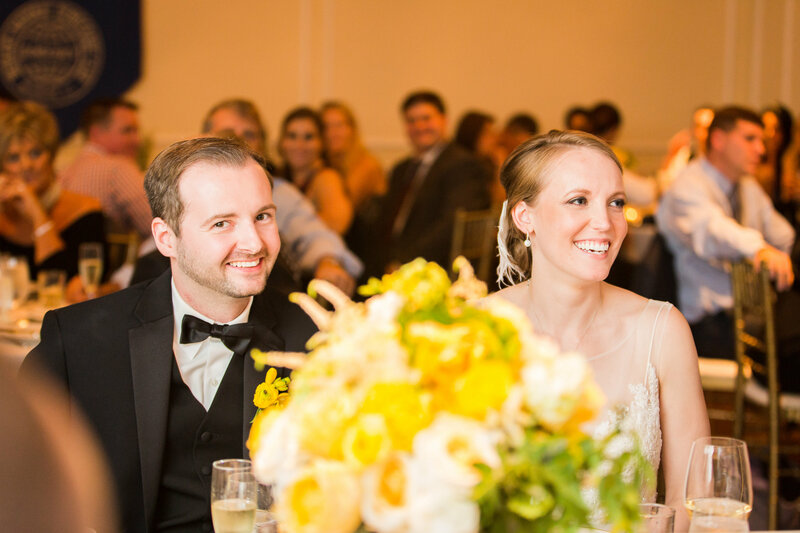 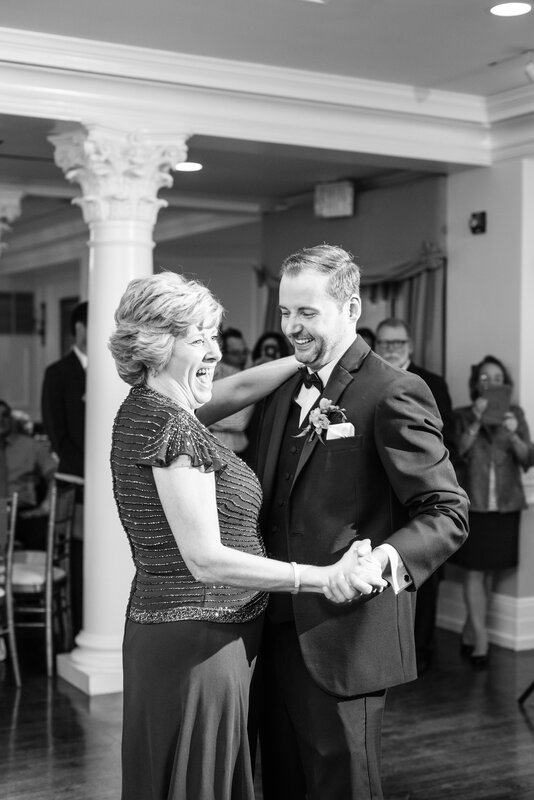 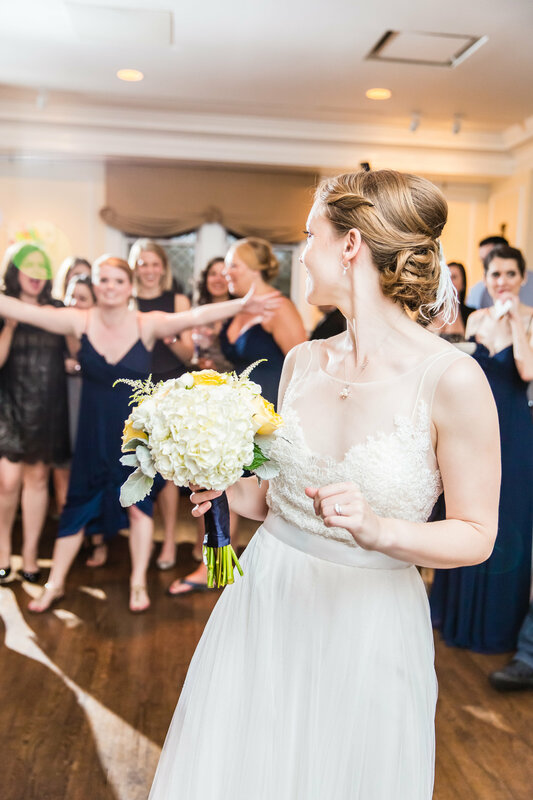 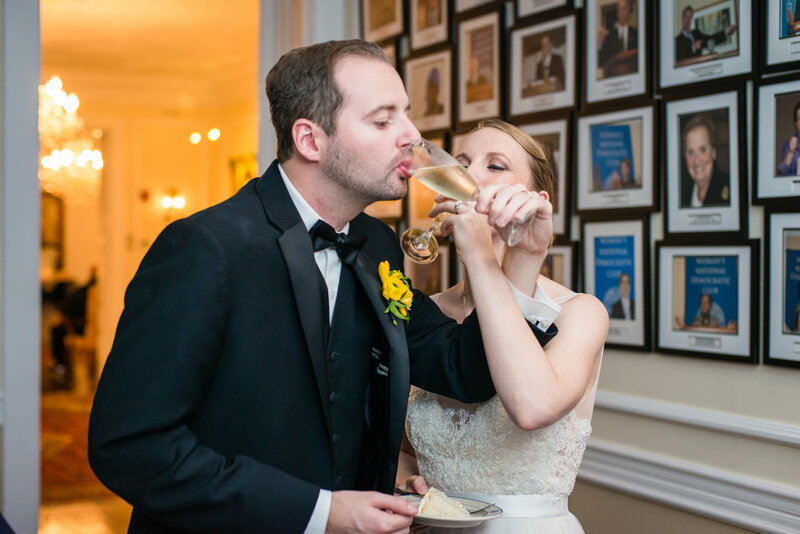 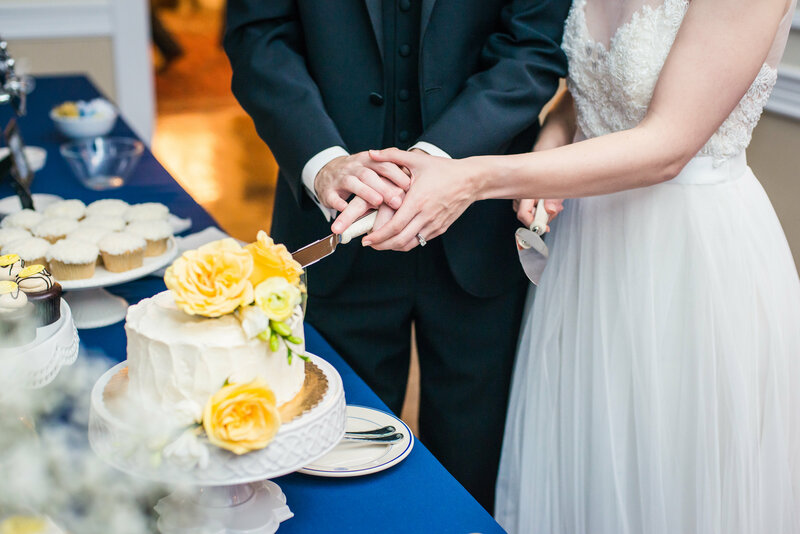 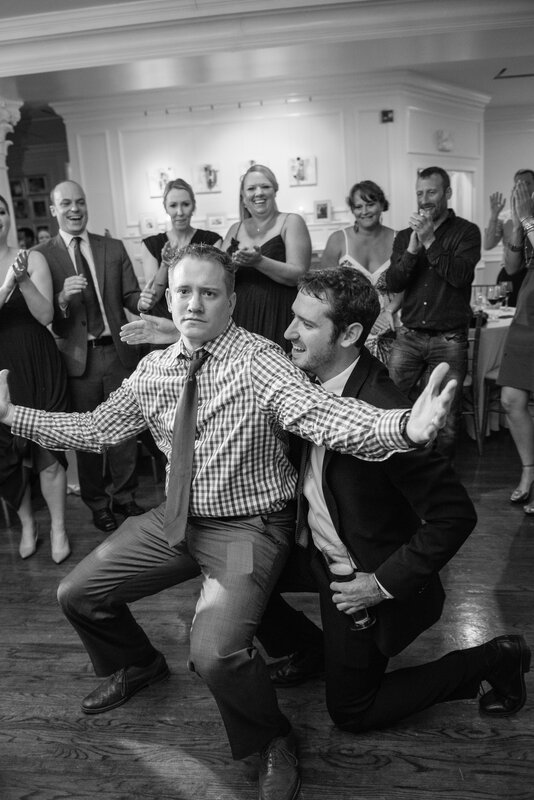 Katy and Mike’s Dupont wedding at The Whittemore House was a wonderful day full of love, laughter, good food and a great dance party! 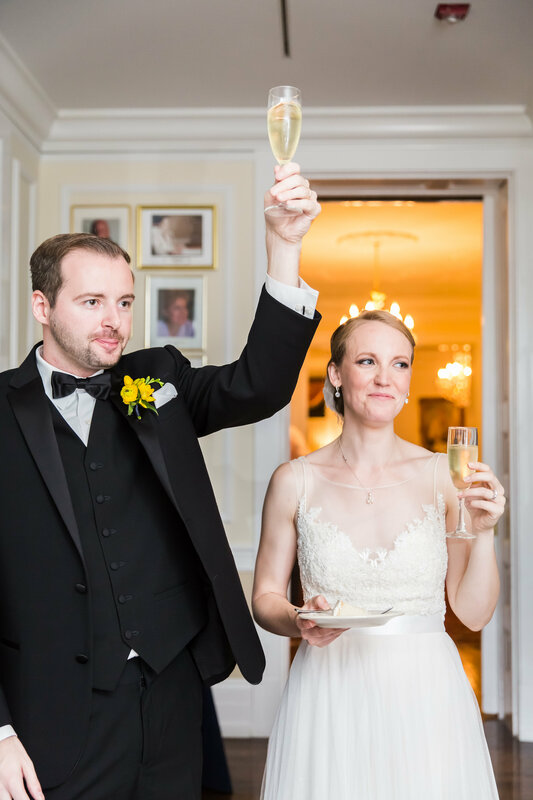 See part 1 to view their getting ready, portraits and ceremony. 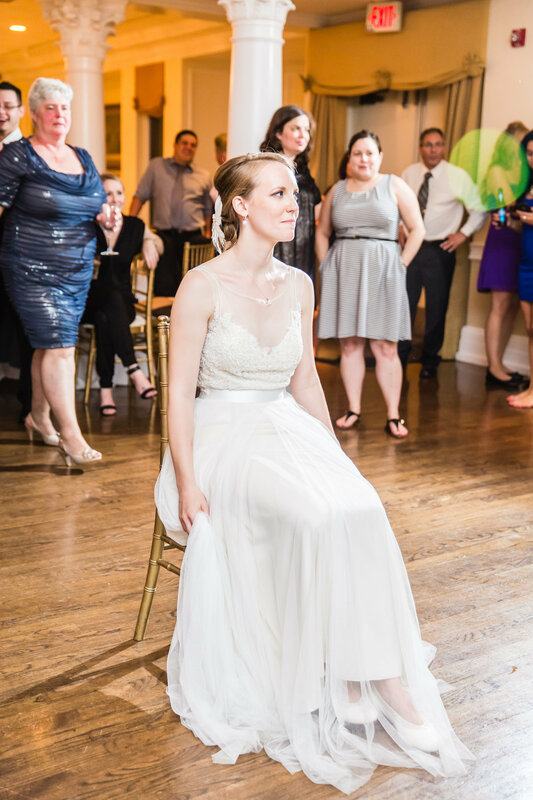 Here is part 2, all the wonderful photos are by Andrea Zajonc Photography. 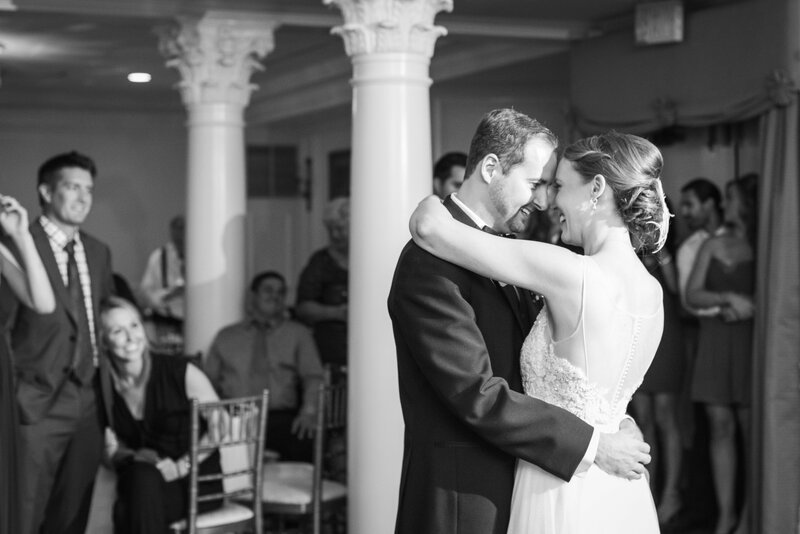 It was really fun to get to work with Katy and Mike and be a part of their beautiful wedding. 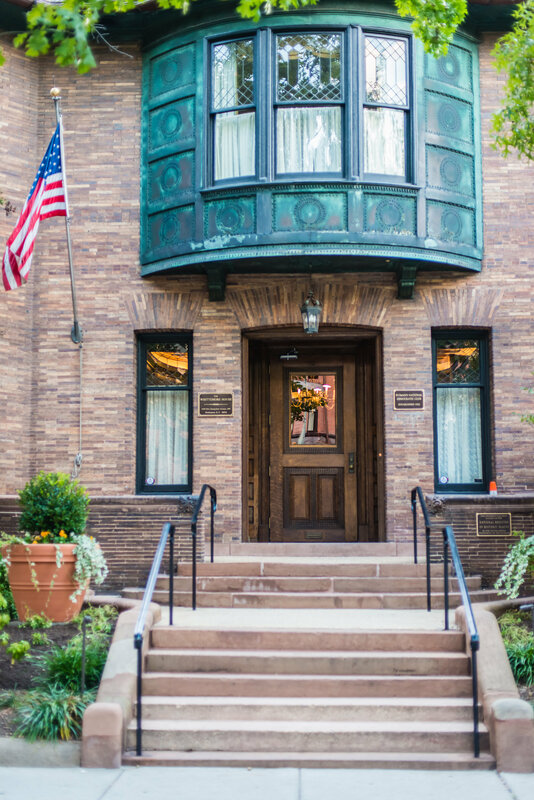 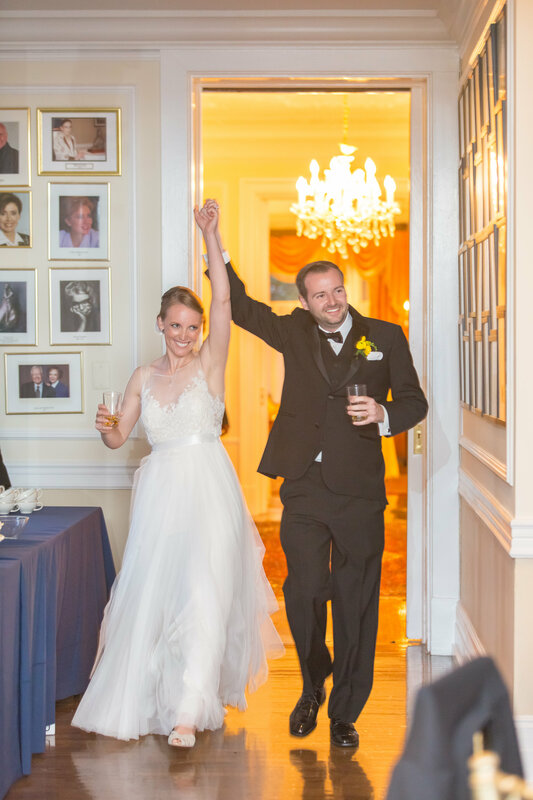 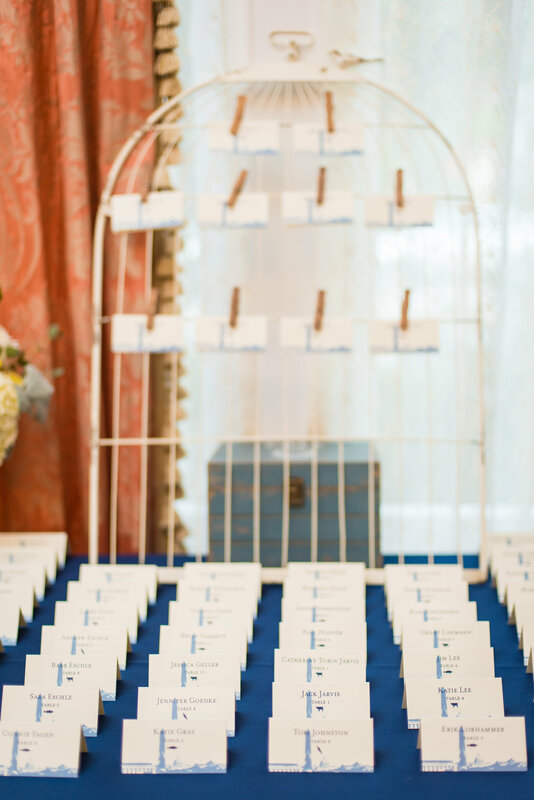 The Whittemore House in Dupont is an amazing space in the heart of DC, we love our weddings here! 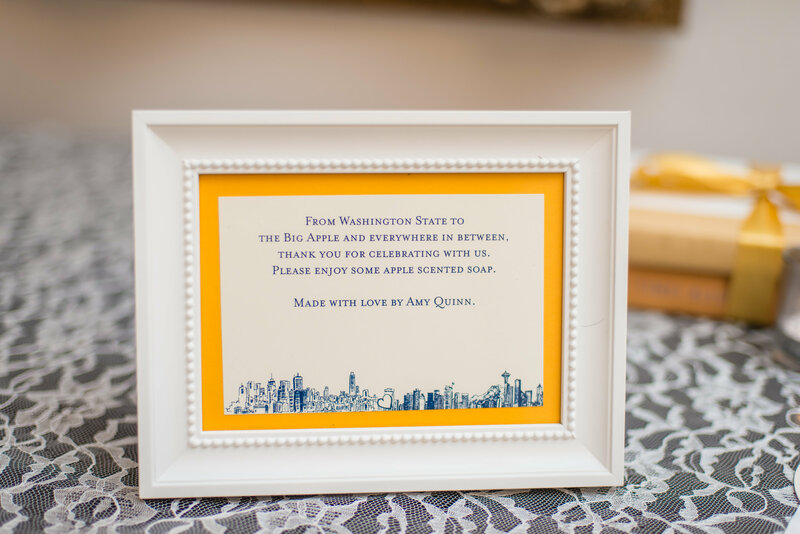 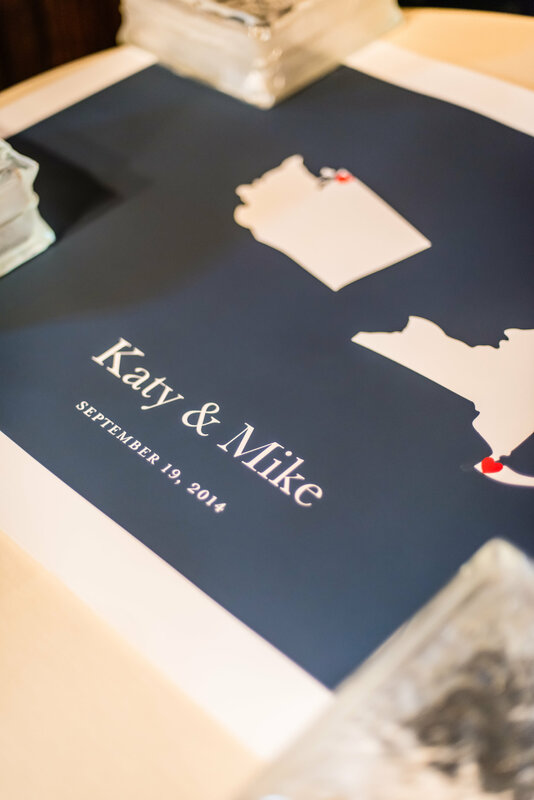 To represent their Washington State and New York pride, Katy and Mike asked guests to sign this unique poster in lieu of a guest book. 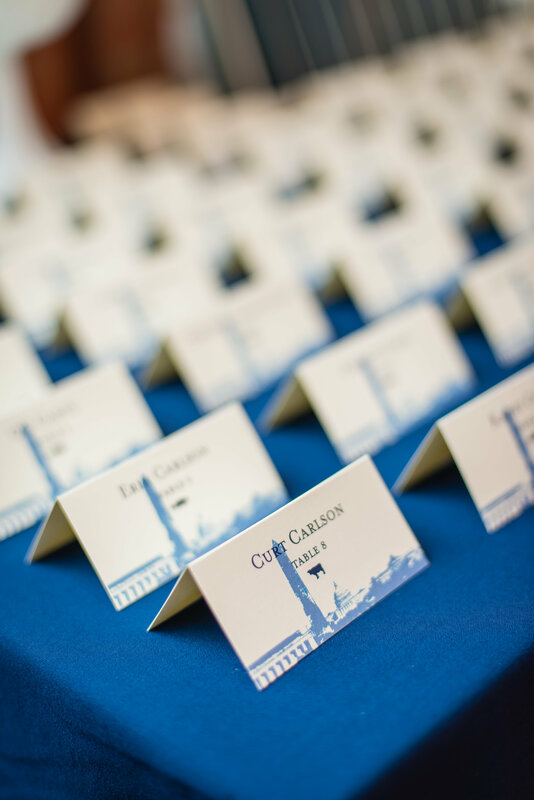 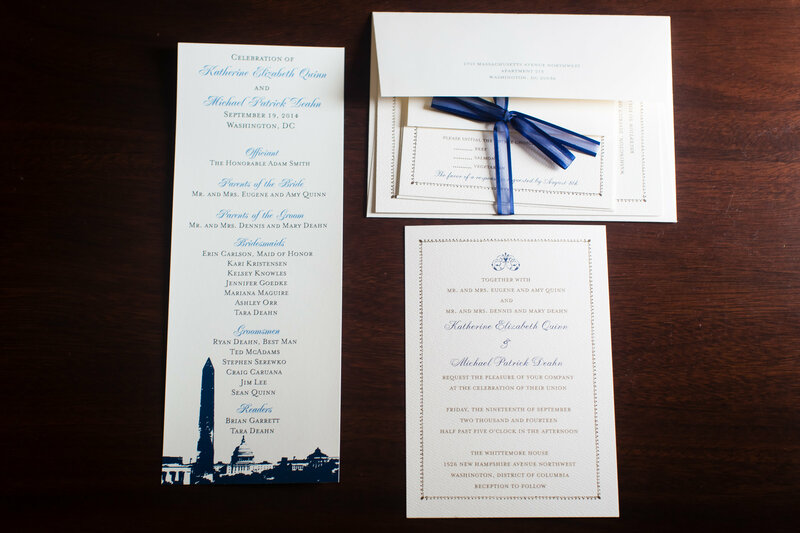 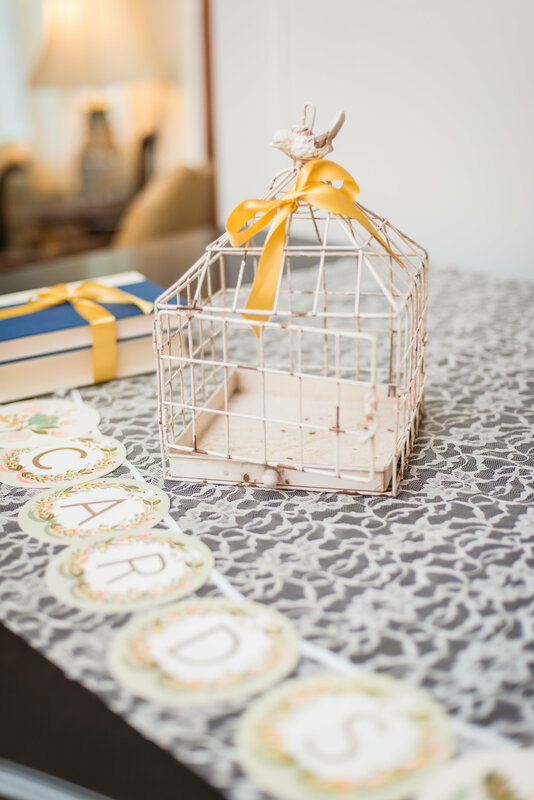 Every detail was perfect, I loved their elegant wedding invitations and DC inspired day-of stationery from The Dandelion Patch. 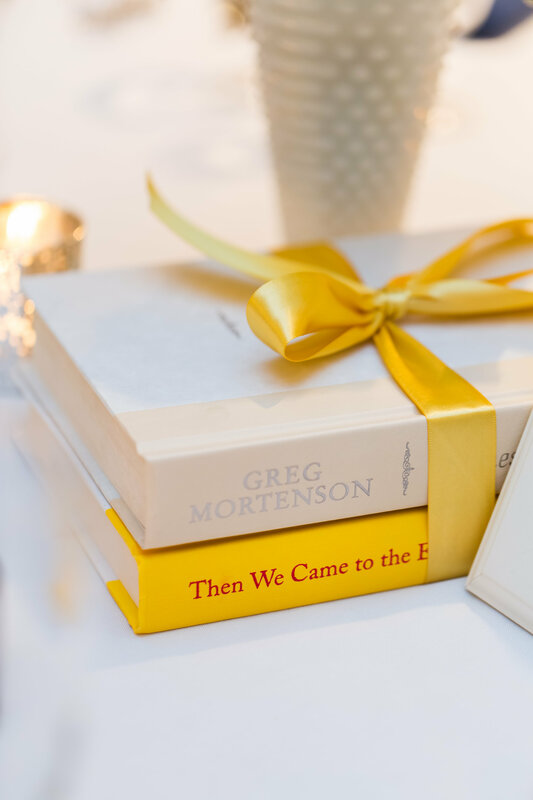 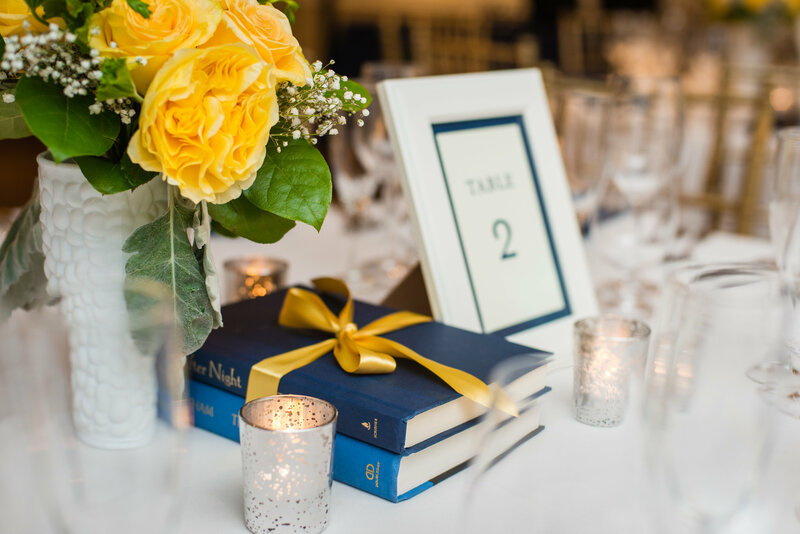 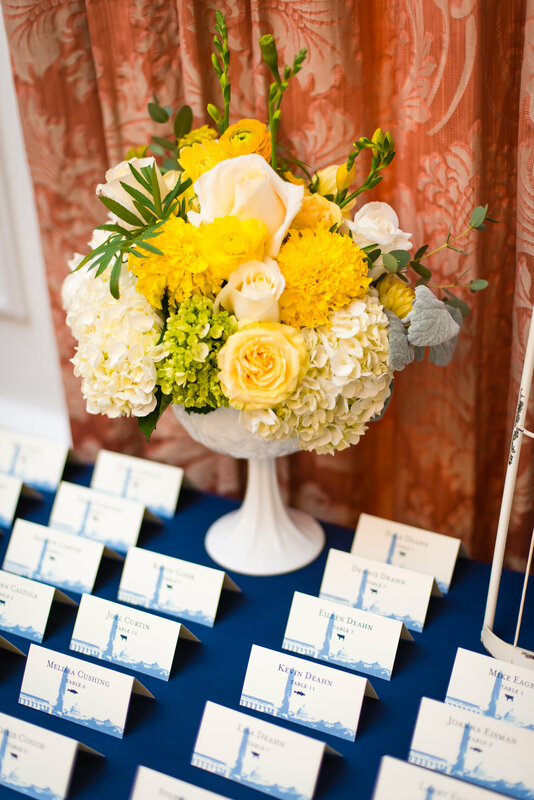 For centerpieces, Katy paired books and milk glass vases filled with lovely yellow and white blooms. 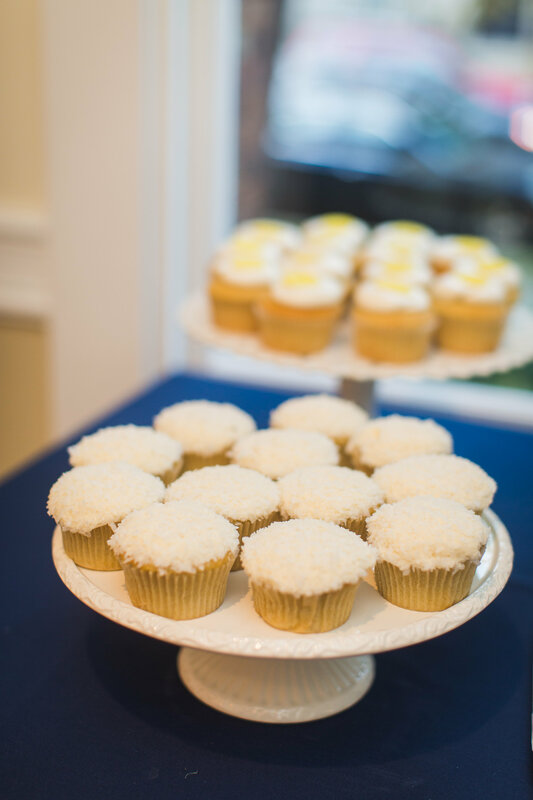 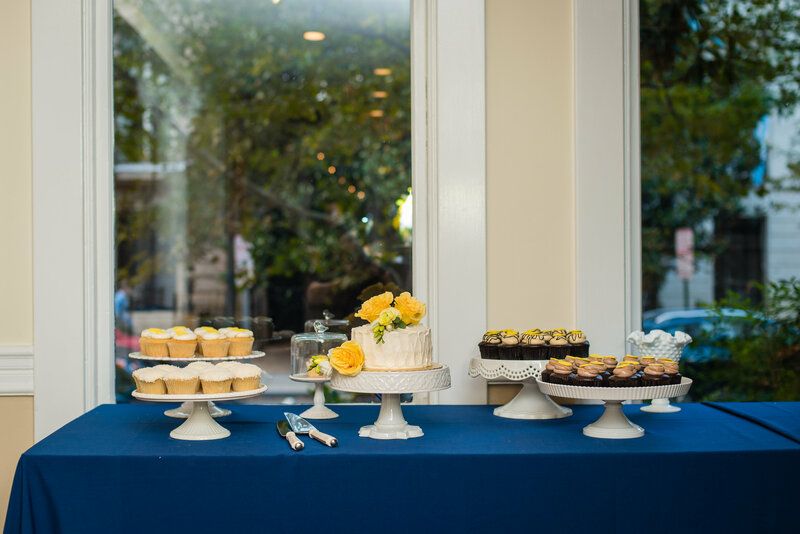 Instead of a traditional cake, they included a ceremonial cake and cupcakes from The Sweet Lobby. 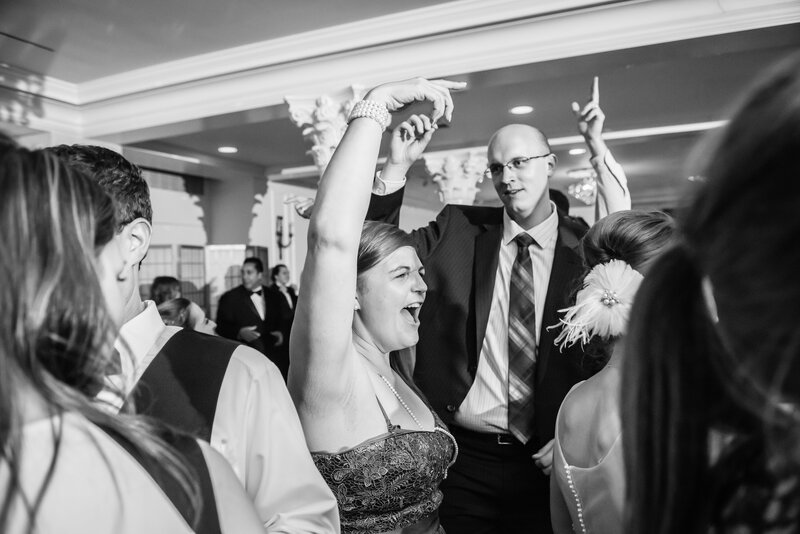 To start the reception, the wedding party was introduced and then Katy and Mike danced for the first time as husband and wife. 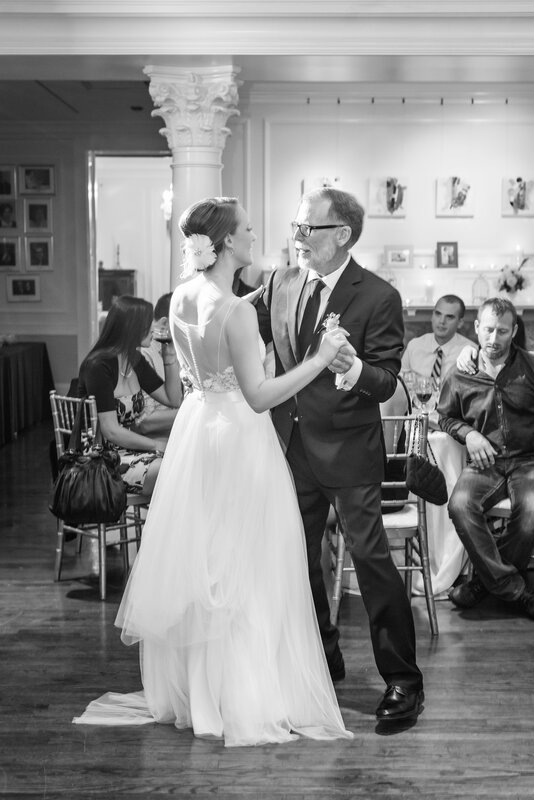 Katy and Mike then shared a dance with their parents; first was Katy and her dad followed by Mike and his mom. 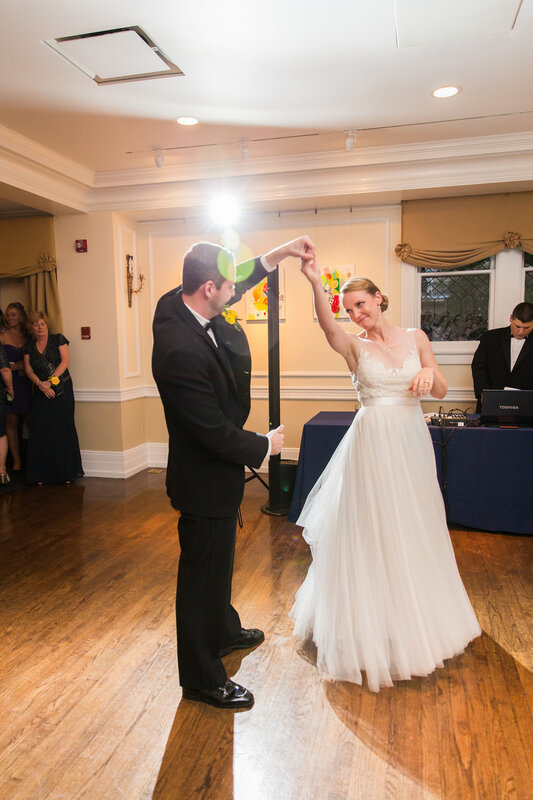 After dinner Katy and Mike cut their cute wedding cake and then enjoyed a great dance party for the rest of the night! 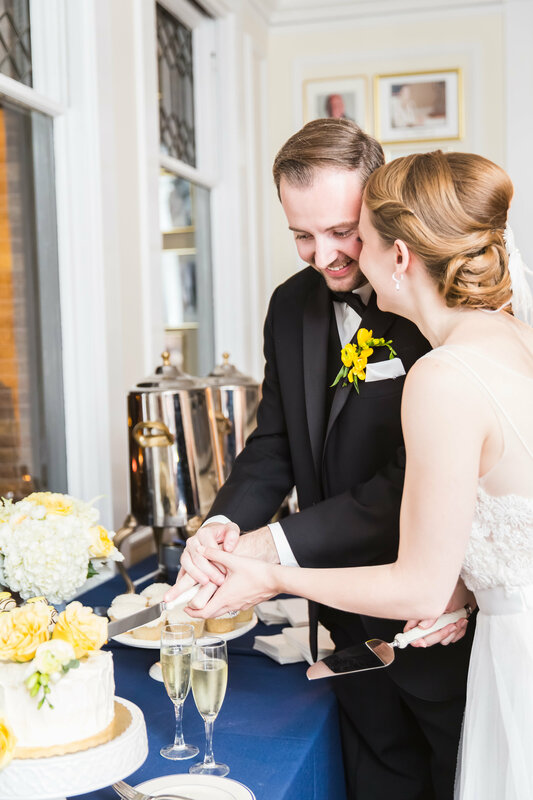 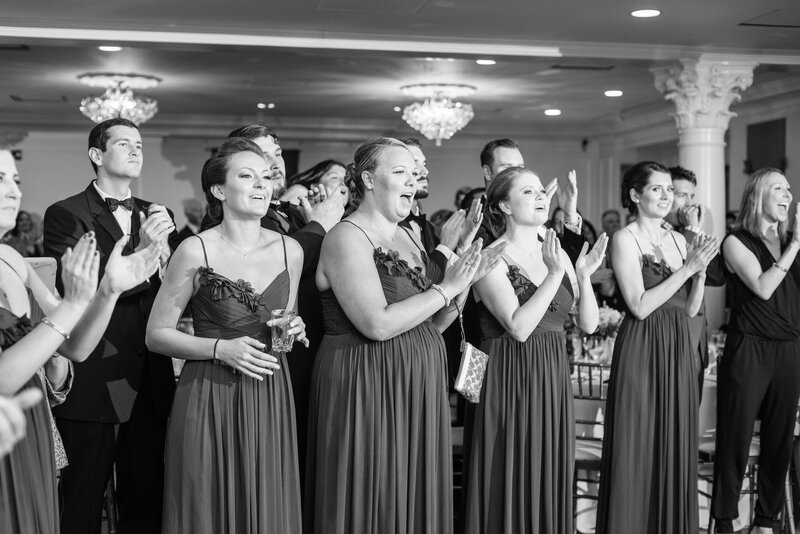 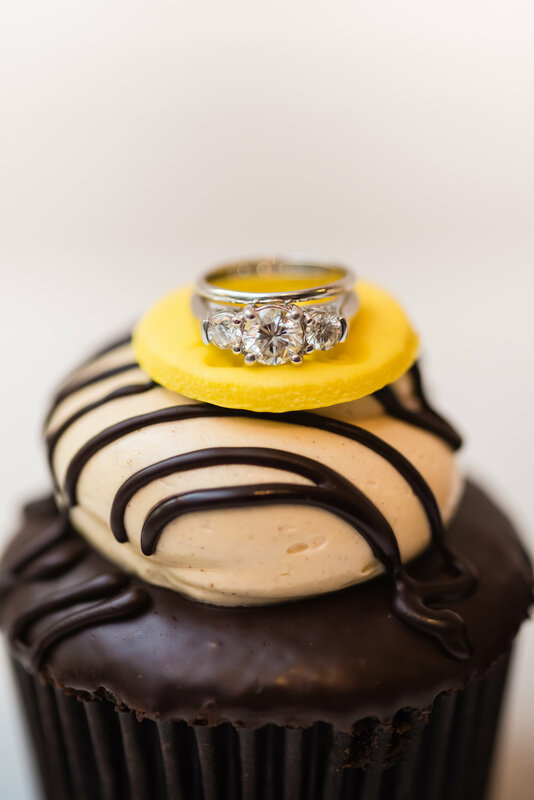 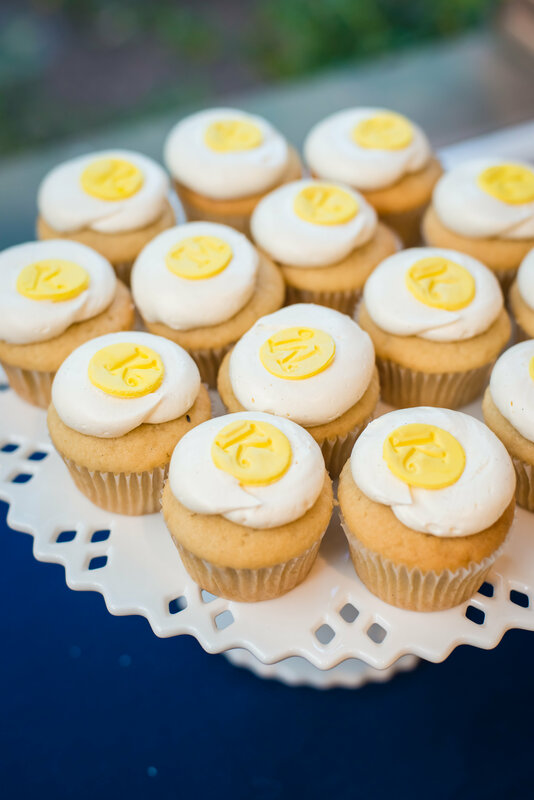 Congrats again to Katy and Mike and thank you to Andrea Zajonc Photography, for capturing the day!